Jolla’s successful Indiegogo campaign to fund the launch of its Sailfish-based tablet has come to an end. 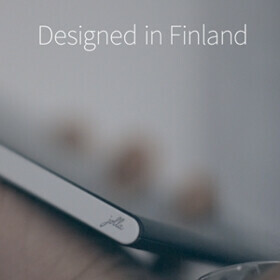 The Finnish company raised a total of $1,824,055 - way more than its initial goal of $380,000. In consequence, the Jolla Tablet will be enhanced with the addition of a microSD card slot (supporting cards up to 128 GB), and a split screen feature. Jolla also wanted to add 3.5G connectivity (for an extra $30 per tablet), but for that it needed to raise $2.5 million - which, of course, did not happen. All those who’ve contributed to the campaign with at least $209 should get a Jolla Tablet by May 2015. As previously reported, the Jolla Tablet runs Sailfish OS 2.0, which allows users to run Android apps. The slate is only 7.5mm thin, and offers attractive hardware features, including a 7.9-inch display with 1536 x 2048 pixels, 5 MP rear camera, 2 GB of RAM, 32 GB of internal memory, a quad-core 1.8 GHz Intel Atom processor (64-bit), and a 4300 mAh battery. With windows 10, perhaps only the phone could be considered mobile. As it is, their tablets/pcs are full pcs. With that aside, do love the design, better than the N9 tablet, though I icons are very boring in the picture. It looks like users of current tablets on the market demand for a change...succes for jolla right now to raise such amount. I believe there are skilled coders in there to bring up all of those features they promise. I am the only one here that think of Lolipop as a huge flop from Google? I dont like material design at all and probably my next devices wont be androids...hmmm...but where to get similar device to Note3 that i am using with pen features and another system?? ?